You may call me Violet Beauregarde, Charlie and the Chocolate Factory's "girl who chews gum all day." It's not a point of pride but it's true. But this fact is now solidified by the existence of The Best Gum Ever! 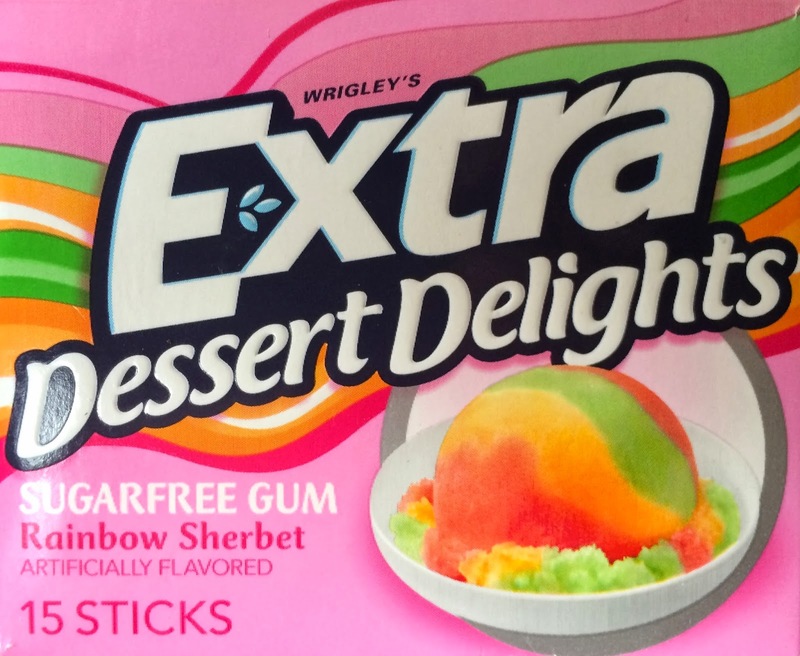 This Wrigley's Extra Dessert Delights Rainbow Sherbet Sugarfree Gum is a mini miracle in your mouth. It tastes uncannily like a mouth full of rainbow sherbet. It's refreshing, unique, intriguing, exhilarating, and fun. Plus it's sugarfree (and the bonus is you would never guess it). The entire Dessert Delights line of gum is incredibly good and I haven't sampled a bad flavor yet. This Rainbow Sherbet gum, though, is a step above any other. Everyone I've shared the gum with loves it, too.